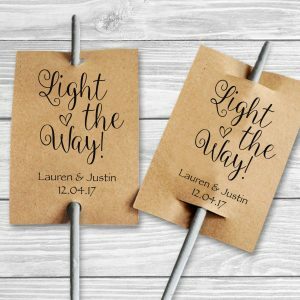 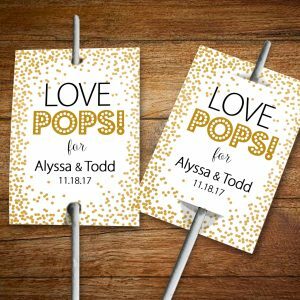 Great for sending off the Bride and Groom at the wedding reception. 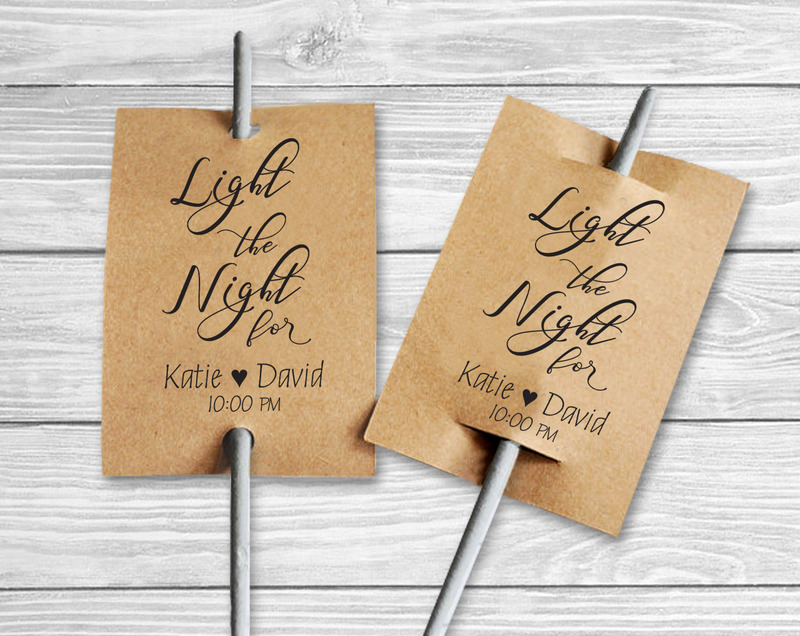 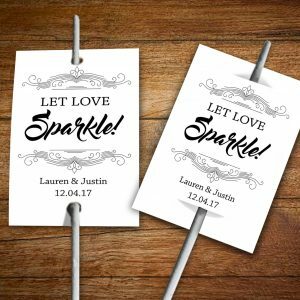 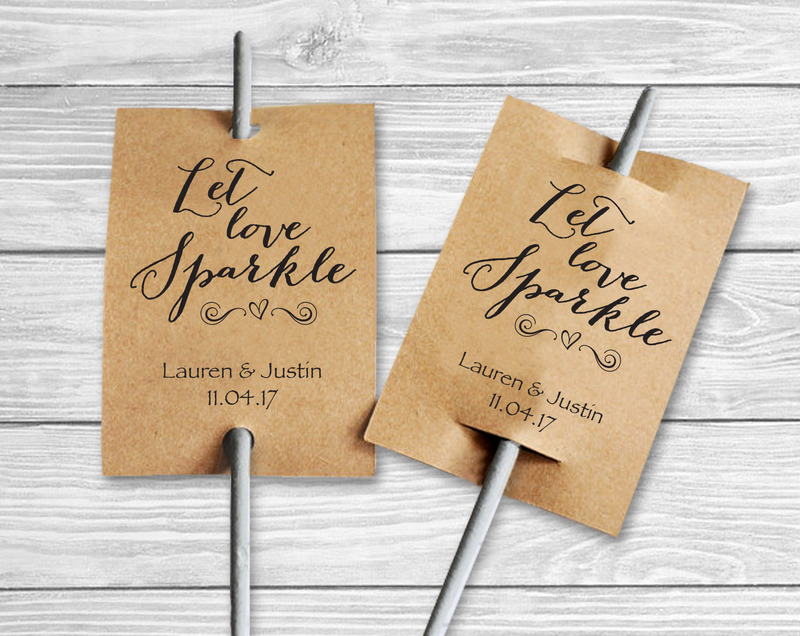 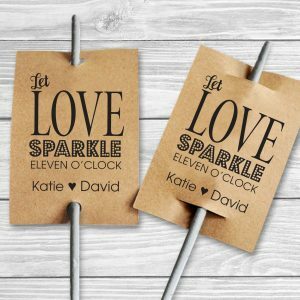 Format: Single-sided flat, hole punch for 1 sparkler/slit for 2 sparklers. Send your NAMES and DATE at checkout in the order notes box.